How is it already MAY of 2013? How did that happen? In just over a month, I will be FINISHED with my year abroad in China. It’s crazy. The next few weeks are going to be crazy. The coming week is my last week of actual uni before exams. Apart from the classical Chinese exam which, only last week, was confirmed to be this Friday. Of the grand total of 4 exams, the other three will be held on the 5th and 6th of June, and then the leaving ceremony on the 9th, after which we’re totally free to leave. Which is exactly what we plan to do, flying to Urumqi the next day. That reminds me, that trip still needs planning… Heeelp! Posted in Beijing: My Year Abroad and tagged class, Classical, exams, time, tourism, travel, university, Urumqi. Bookmark the permalink. In the Northwest of China is a province largely populated by ethnically Muslim minorities, who are culturally more Central Asian than they are Chinese. This region is Xinjiang, 新疆, which translates literally to “new frontier”, and borders no less than eight different countries: Mongolia, Russia, Kazakhstan, Kyrgyzstan, Tajikistan, Afghanistan, Pakistan and India. The first inhabitants of Xinjiang were Muslims of Central Asian origin, as well as descendants of traders from Arabia and Persia, because of the Silk Road passing through Xinjiang. These people are the Uyghurs, and have been a majority in Xinjiang for much of China’s history, though there are also Tajik, Kyrgyz and Kazakh groups, among others. Throughout the dynasties, the Han Chinese and the Muslims of Xinjiang, previously referred to as East Turkestan (because at one point they succeeded in forming an independent state, although it didn’t last very long) lived in relative peace. This was until the Qing Dynasty, the final dynasty and most brutal one for the Muslims. With the founding of the Republic of China in 1912, the Communists made promises to the people of Xinjiang, that they would help them form an autonomous Muslim state. However, promises such as “self-determination for the different racial and cultural groups” were largely just attempts at pacifying all the various minority groups in China, including Tibetans, Outer Mongolians, as well as the Muslims of Xinjiang. Under the People’s Republic of China (PRC, 1949~), the government have been resettling many Han Chinese people in Xinjiang. It is worth mentioning here that Xinjiang has vast mineral deposits and more recently discovered oil reserves. The government claims their policies towards Xinjiang are grounded on bringing economic development, and not demographic change. However, with each influx of Han Chinese into Xinjiang, the native Uyghurs become more resentful, with increasing limits on resources such as water. Moreover, they believe the government is attempting to destroy their long-standing cultural history. I can see where they’re coming from; there are plans to destroy the oldest part of the ancient city of Kasghar, the reason given for this is protection against earthquakes. Somewhat transparent, if you ask me. How has the city survived so long upto now? Their building materials and methods have evolved to protect against earthquakes in a zone prone to them. Anyway, although Xinjiang gained autonomy in 1955 (kinda similar to devolution in the UK), it’s been a region of tension in recent years. While the tension between the natives and the Han people rises, the government continue to make life harder for them through repressing religious expression by, for example, denying them the right to observe Ramadhan (month of fasting for Muslims). Not surprising then, is it, that the resentment towards the government only increases? These issues have sparked riots across Xinjiang: in Urumqi, the capital city, as well as in Kashgar, a city in the south of the region, close to the border with Kyrgyzstan and Tajikistan. In 1940, Xinjiang’s population was comprised of only 6% Han, with 80% of the population being Uyghur. In 2012, the Han made up 50% of Xinjiang’s population. 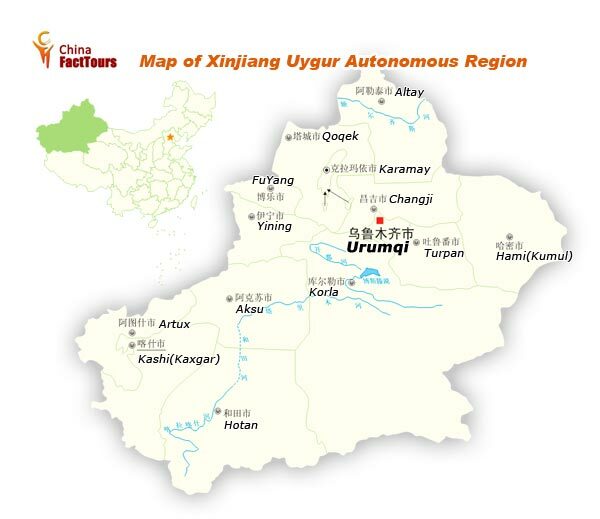 Urumqi specifically is now only 13% Uyghur, with 75% of Urumqi’s current population Han. Unlike much of Xinjiang, the population of Urumqi is predominantly Han Chinese. As mentioned in a previous post, my travels for June included going to Kashgar. With riots in Kashgar being as recent as April of this year, my travel partner was thoroughly put off going when a teacher apparently very animatedly told her that going to Kashgar was a very bad idea, because, and I quote said teacher, “although I’d say it’s 95% going to be completely fine, just in case there is some altercation, I think it could be big”. Well, yeah. I think that applies anywhere. But that’s besides the point. Although Kashgar would have been an amazing trip, an experience of a lifetime, literally going out into the middle of a desert, living in a still largely medieval city, totally cut off from today’s modern lifestyle, there is just as much to see in the northern part of the province, and the provincial capital: Urumqi. And, well, the bottom line: better safe than sorry, right? For this reason, we changed our tickets and are now flying to Urumqi…. but not flying back! 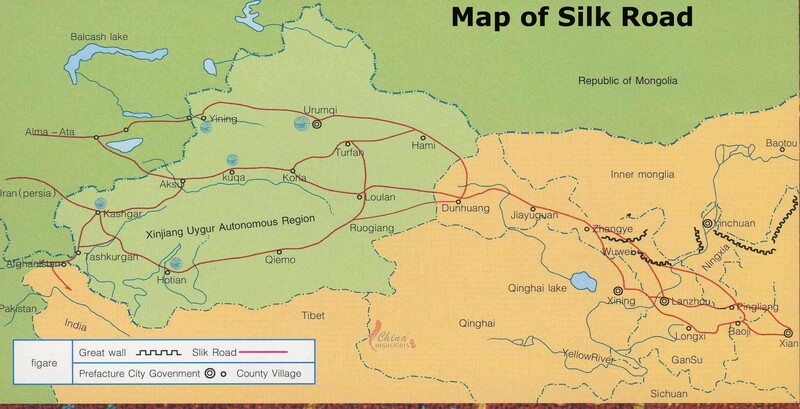 The plan is to get the train from there to Turpan, and then to Hami. And then from Hami, possibly to Zhangye to see those awesome colourful mountains, depending on time constraints, or straight back to Beijing. That train journey will be about 24hours. It’s going to be hell absolutely awesome. What an experience. While my previous plan was to fly from Beijing into Kashgar, and from Kashgar straight back to Beijing, meaning that I wouldn’t get to see much of the rest of Xinjiang (it’s huge, almost the same in size to Iran), this way means that our travel plans are much more flexible, allowing me to see more of Xinjiang, given the limited time I have. Although the whole of China geographically spans four time zones, with Xinjiang itself spanning two zones, the official line is that Xinjiang is on the same time zone as the rest of China (GMT+8). 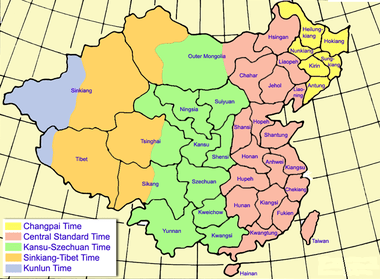 There used to be five time zones within China, but in 1949 the Communist Party, in an attempt to make the country appear more unified, standardised the time across the country. For reasons of practicality, a lot of residents follow an unofficial Xinjiang time (GMT+6), but some see this as a way of expressing their resistance against the central government, especially because the division tends to follow ethnic lines: Han vs. Uyghur. I don’t blame them, though! The agricultural working lifestyle that is prevalent in the far western provinces of Xinjiang for example (3.5hours behind Beijing), has to be done while the sun is out, regardless of what numerical time it is. And can you imagine how long the days are in Summer, with the sun still being out when it’s ‘midnight’? Or sunrise being at 10AM in Winter! P.S. 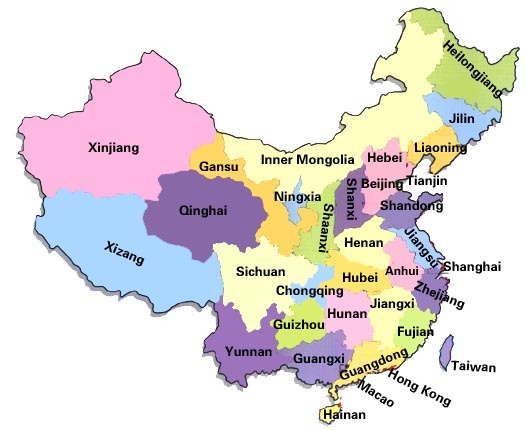 – I apologise for there being a lot of maps in this post, but I figured that if I were reading this before I came to China, I’d have no idea about all the places, or be able to visualise any of it. Having said that, I’m not assuming that everyone is as ignorant as I was/am, but I hope it helps someone anyway! P.P.S – All the information in this post is from reliable sources. Reliable meaning not solely Wikipedia. Just kidding… Reliable meaning that I’m using them for this project of mine that I’ve been complaining about. My project is actually regarding the topic of Islam in China, so all I have to do now is replicate the number of words in this post (~1400) in my essay! Bet you didn’t know that China had such a rich Islamic history, eh? Posted in Beijing: My Year Abroad, Tourism and tagged autonomy, Communist, culture, dynasty, government, Hami, Han, history, Kashgar, map, Muslim, population, project, Qing, Ramadhan, riot, sightseeing, Silk Road, tension, time, tourism, train, Turpan, Urumqi, Uyghur, Xinjiang, Zhangye Danxia. Bookmark the permalink. Well, what a difference a day makes… A few days, even – because over the last few days, I’ve definitely reconciled myself with the fact that despite the approaching deadlines being such a bad way to end a year abroad on, and despite the fact that so many of us are just looking forward to going home, myself included, there is no escaping the fact that time is running out, and it’ll never come back. So seeing as going back home is determined for that date, why not really go for it and actually ENJOY what time is still left? Because I’m sure before I know it, I’ll be back in London, full of regrets for having let those last few weeks slip by, and well, in the end, we only regret the chances we didn’t take. I started out saying that this blog would include my feelings and thoughts while in China; if it’s the case that my feelings and thoughts happen to be negative and that’s what I want to record, so be it. I’m not going to censor out the bad and only include the good, if that’s not the case. I want it to be a true representation of how I feel/felt during the course of my year abroad. There have been good and bad times in equal measure… definitely more good than bad actually, but the bad tends to stick out, doesn’t it? However, the current of melancholy that’s been running through some of the more recent posts ends now. Photos taken at the ‘Water Cube’, Beijing’s National Aquatics Centre, constructed for the 2008 Olympics. Optimism is an attitude that will serve me well for the next few weeks! Posted in Beijing: My Year Abroad, Tourism and tagged amusement, Forbidden City, Great Wall, Labour Day, London, Olympics, optimism, parents, park, Piccadilly Circus, project, time, tourism, Water Cube. Bookmark the permalink.